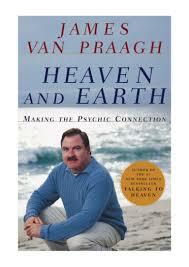 This entry was posted in Post Camino and tagged Heaven and Earth, Intuition, James Van Praagh, Psychic Connection by Bill Bennett. Bookmark the permalink. As I was trying to figure out how to do audio books the other day and deciding on getting an Ipod or whatever, I ran across his books. Thinking of getting a couple one of which is this one. My list is getting long. I have a lot to catch up on. Looking back on the last few years I can see things now that I overlooked or just plain didn’t think twice about ! Many were signs, things that were shouting at me but I just didn’t understand or realize what was happening. I don’t think much of anything happens by coincidence – there’s a reason for everything! I don’t want you to rush the film but getting very anxious to see it and learn from it. You did notice that my greeting was in Australian did you not? I’ll be wishing and praying for investors. The film will get a lot of people thinking and changing I’ll bet.